The 21st century has seen political, economic and technical changes, which have pushed the increased production of renewable energy in many countries, including Scotland. The country is seen as an excellent source of renewable energy relative to many other places in the world. The country has already installed 1.3 GW of hydroelectric power generation. There is vast potential for other types of renewable energy such as wind at 36.5 GW, and tidal power at 7.5 GW. As much as 10% of the total wave power potential in the European Union, 14 GW, is located in Scotland. The total renewable electricity generation capacity for Scotland is estimated to be in excess of 60 GW. This means there is the potential for exportation of energy from Scotland, which is generated by renewable sources. The vast majority of renewable energy capacity in Scotland has not yet been accessed. The continual improvements made in the engineering of renewable energy production means that there is increasing opportunity for Scotland to use this untapped resource. A number of global political and economic factors have increased interest in renewable sources. These factors include climate change and concerns regarding peak oil. This is the point at which the maximum rate of petroleum extraction has been reached globally, and production begins an inevitable and terminal decline. Many of the projects required for renewable energy resources in Scotland have been dependent on subsidies. However, the situation is likely to change getting the rising price of crude oil and concerns over the continued availability of petroleum. The government of Scotland, and a number of individuals in academia, has plans for increasing the use of renewable resources for power generation in Scotland. This includes techniques for reducing the total carbon emissions of the country. There is widespread public support in Scotland for both community led and private sector development of renewable resources. However, there have been concerns regarding the effect of some of these technologies could have on the natural environment. There are also a number of political concerns related to the sites which would be used for these new power generating devices. Despite the concerns over developing renewable energy in Scotland, the worldwide concern for climate change and the availability of petroleum resources makes it inevitable that the country will move in this direction. There is likely to be only modest growth in the rate of energy consumption, perhaps less than 0.5% annually, through 2011. If the recession ends this increase is projected to be approximately 0.9% until 2015. It is hoped that energy-saving measures from 2016 until 2020 will move the increasing energy consumption rate back down to 0.5% annually. This means that the electricity consumption of Scotland in 2020 will be approximately 43,680 GW per hour. In 2030 this amount would reach 45,900 GW per hour. Despite the extraordinary level of untapped renewable energy resources in Scotland, there are still significant amounts of energy being produced through renewable products. In 2008 renewable energy resources amounted to 3665 MW of electrical generating power. The highest producer was onshore wind at 1918 MW. The second-highest was Hydro at 1387 MW. Offshore wind amounted to 18o MW of power, and biomass accounted for 79 MW of power. Energy from waste provided 100 MW of power. This means there was more energy generated by renewable sources at 3665 MW than nuclear power at 2410 MW. The renewable sources even did well in comparison to the conventional gas turbine methods of energy production, which produced 5223 MW of energy. This means the renewable sources are providing approximately 70% as much power as the petroleum products. It is quite feasible that the amount of increased energy demand in Scotland until 2030 can be exceeded by production of power through renewable resources (Warren, 2009). In other words, by the year 2030 it is possible that renewable resources will have decreased the total needs of Scotland for petroleum-based energy production. Renewable resources can have a significant effect on managing demand in Scotland. There are a number of advantages to increasing the use of renewable energy resources in Scotland. The European Union has expressed the wish to have greenhouse gas emissions reduced by 20% from 1990 levels by 2020. They also hope that 20% of all energy produced will be from renewable sources. It is further hoped that there can be a 20% reduction in the total amount of energy being used. The goals of Scotland exceed those of the European Union. Scotland hopes to halve greenhouse gas emissions cut as much as 42% by 2020 is further hope that 20% of the total energy use in Scotland will be from renewables. This will include 80% of the electricity consumption being from renewable sources. There are the additional goals of 11% of heat energy in 10% of transportation being provided by renewable sources. The increasing use of renewable energy in Scotland will allow the country to meet its own goals and those of the European Union. This means better relations with the European Union. It also means that Scotland will experience a significant reduction in its reliance upon petroleum based products. This will reduce the production of greenhouse gases and release of pollutants in the atmosphere. Another advantage is that Scotland is likely to be able to export a larger amount of its energy. This could provide substantial economic resources for the country. The reduction of renewable energy generation in Scotland is essentially the reverse of its increase. Reducing the amount of energy produced by renewable resources is likely to cause significantly strained relationships between Scotland and the European Union. Scotland could be fined substantial amounts of money for noncompliance with the wishes of the European Union. It is also possible that the European Union would increase import and export duties on Scotland. It is even possible that the European Union would choose to reduce the status of Scotland in the Union. Reduction of renewable energy in Scotland would also increase the country’s reliance upon foreign petroleum. This means the country could become economically unstable if there were sudden rises in petroleum prices. Instability of any of the petroleum producing countries could result in these circumstances. Additionally, without sufficient energy from renewable resources the country is likely to require energy imports which could be costly. 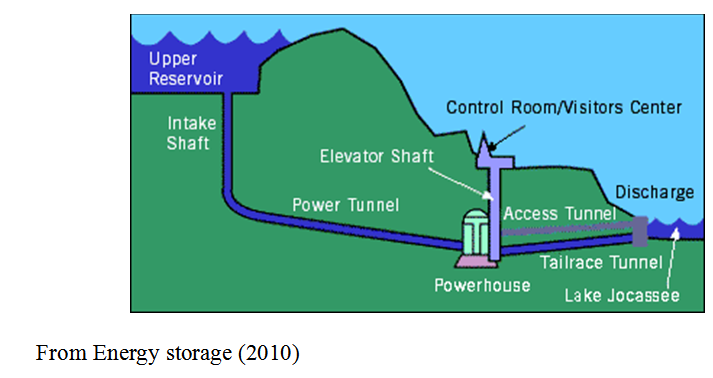 Approximately, 85% of the United Kingdom’s hydroelectric power is derived from Scotland. The North of Scotland Hydro-Electric Board was developed in the 1950s. It was originally owned by the government but was privatized in 1989 and is owned by Scottish and Southern Energy. Approximately, 37% of Scotland’s renewable energy is produced through hydroelectric means. Wind power is the fastest-growing renewable energy source in Scotland (Warren, 2009). The wind farm at Whitelee is the largest in the United Kingdom and can produce more than 300 MW. There are also two large offshore wind turbines, which are in the Moray Firth. There are a number of onshore wind farms throughout Scotland. Wood is used as a biomass fuel and is a substantial source of electricity in Scotland due to the forests. In fact, Scotland has approximately 60% of the forest and land in the United Kingdom. The country can provide as much as 1,000,000 tons of wood annually. This means up to 450 MW could be generated from this source. The majority of energy which would be generated from waste would be produced by anaerobic digestion. An intermediary stage of this process produces between 45% and 90% methane and carbon dioxide. During 2007 there was an anaerobic digestion facility that was commissioned to be built in Stornoway. The renewable energy Association and Scottish Environment Protection Agency have been working to develop a digestate standard. There are a number of systems now being developed off the coast of Scotland in order to produce electricity from wave power. The funding for the first wave farm in the United Kingdom was announced in February of 2007, and it will be the largest in the world. This single wave farm will be capable of producing 3 MW of power. Each of the renewable energy sources discussed has its own advantages and disadvantages. Despite the large number of forests in Scotland, it is not advised that this resource be expanded upon. The burning of wood releases a substantial amount of carbon. It is advised that hydroelectric and wind powers are likely to be the first renewable energy sources profitably expanded on in Scotland. Both are already being used successfully. It is further advised that research for using waves and waste to produce energy be given priority and properly funded. Both sources of renewable energy have substantial promise, but the technology has not yet been fully developed. As part of its goal of increasing the use of renewable energy resources, the Scottish government has determined that it will be necessary to expand the country’s ability to store energy, which has been produced through renewable sources (Energy storage and management). The majority of renewable energy sources such as wind provide intermittent power. When renewable energy sources are being used for a significant amount of energy in a grid reliable storage is a necessity. This is because the intermittent power may not match times of energy demand. For example, it may be windy in the middle of the night when power needs are low. This means the excess energy produced during low usage times must be stored. Political and economic changes of the 21st century are requiring Scotland to increase its production of energy through renewable sources. The country has an abundance of renewable energy sources, including wind, biomass, hydroelectricity, waste, and waves. 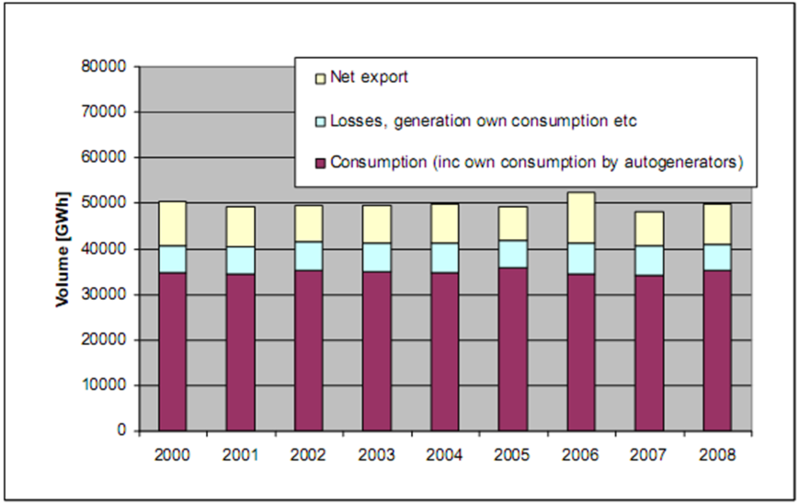 The demand for electricity in Scotland has remained relatively stable since 2000. It is not anticipated that there will be demand, which exceeds 0.9% through 2015. It is hoped that a number of energy-saving measures will decrease this to 0.5% annually between 2016 and 2020. These projections would make the energy necessary by Scotland in 2030 at 45,900 GW per hour. In order to meet this demand without significantly increasing the need for fossil fuels or carbon and pollution released into the atmosphere, Scotland will be required to make significant use of its renewable resources. There are many benefits for Scotland of increasing the use of her noble energy sources. The European Union has a goal of decreasing greenhouse gas emissions by 20% in 2020 as compared to the 1990 levels. It is further hope that 20% of all energy from the European Union member states will be from renewable sources. The goals of Scotland exceed these targets. By increasing its use of renewable sources for producing energy Scotland will benefit from good relations with the European Union. It will also experience a reduced reliance on petroleum based products. The country will have fewer greenhouse gases and pollutants entering the atmosphere. Economic benefits of increasing the use of renewable energy include exporting excess energy. While Scotland has a number of renewable energy resources, it is advised that the country initially expands on energy created by hydroelectric means and wind. Both sources are being used successfully at this time. Research on energy produced by waste and waves should be properly funded. These are likely to be substantial sources of energy when the technology has been more completely developed. By expanding its use of renewable energy, Scotland can become an example for other nations regarding the responsible use of resources. Gardner, P. Options for coping with high renewables penetration in Scotland. Garrad Hassan & Partners Ltd.
Energy storage and management study. The Scottish Government. 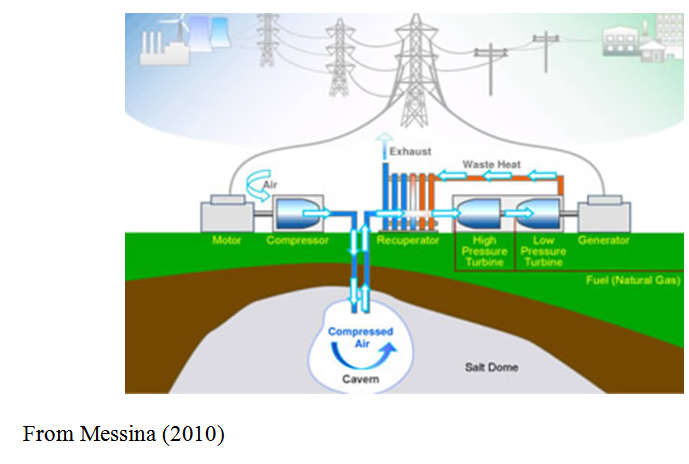 Messina, J. Compressed air energy storage: Renewable energy. Energy storage. Hawaiian Electric company. The future of Britain's electricity networks. Norwich, UK: The Stationary Office. Renewable energy in Europe: Markets, trends and technologies. (2nd ed.). London: European Renewable Energy Council. Warren, C. Managing Scotland's environment. Edinburgh, Scotland: Edinburgh University Press. Moselle, B., Padilla, J., & Schmalensee, R. Harnessing renewable energy and electric power systems: Theory, practice, policy. London: RFF Press. Charlier, R. H., & Finkl, C. W. Ocean energy: tide and tidal power. Heidelberg: Springer.